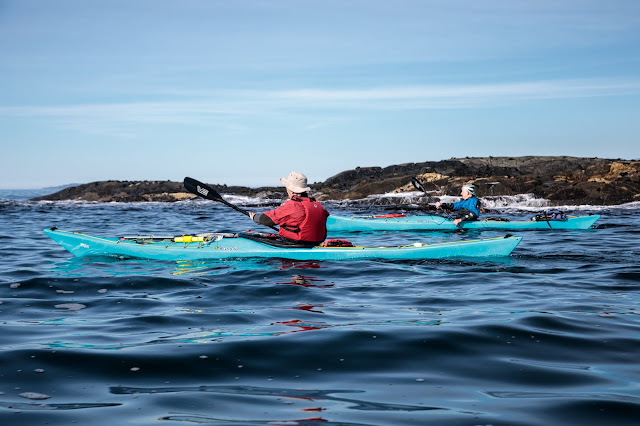 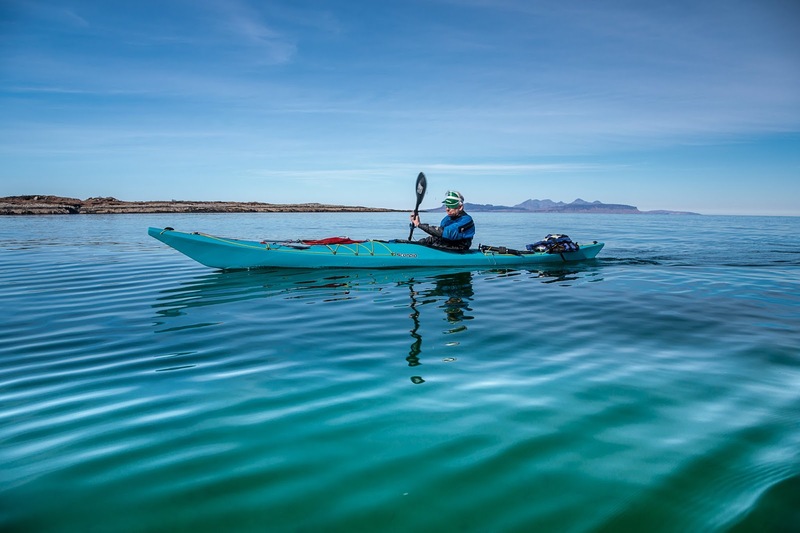 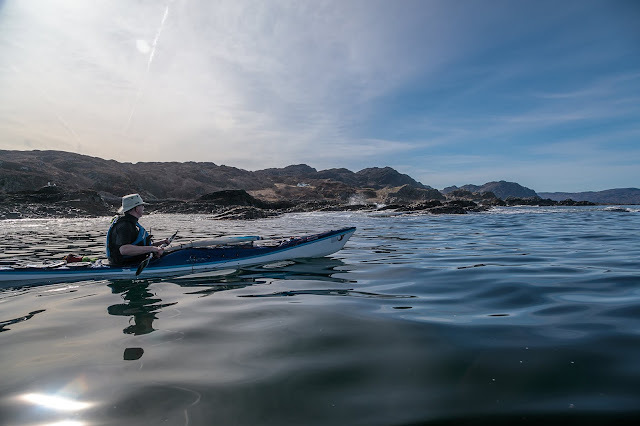 Sea kayaking with seakayakphoto.com: A lazy first luncheon at Smirisary. 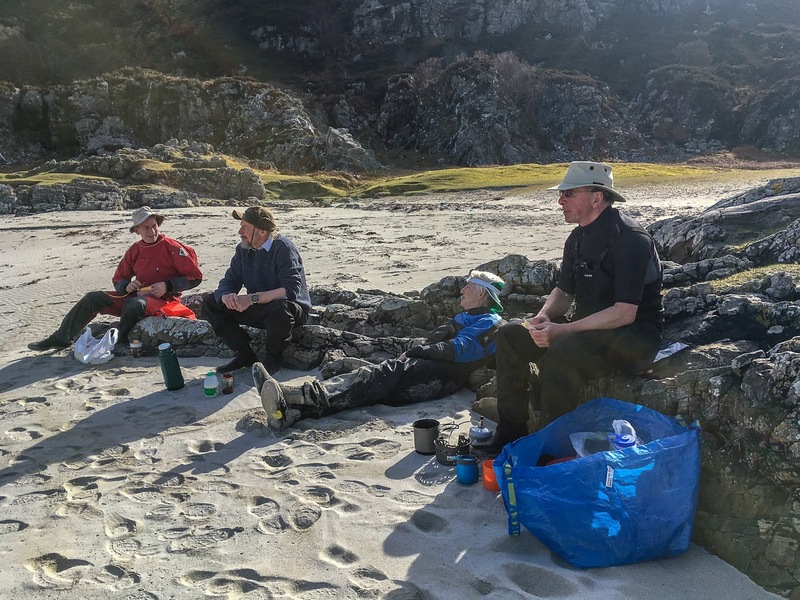 A lazy first luncheon at Smirisary. 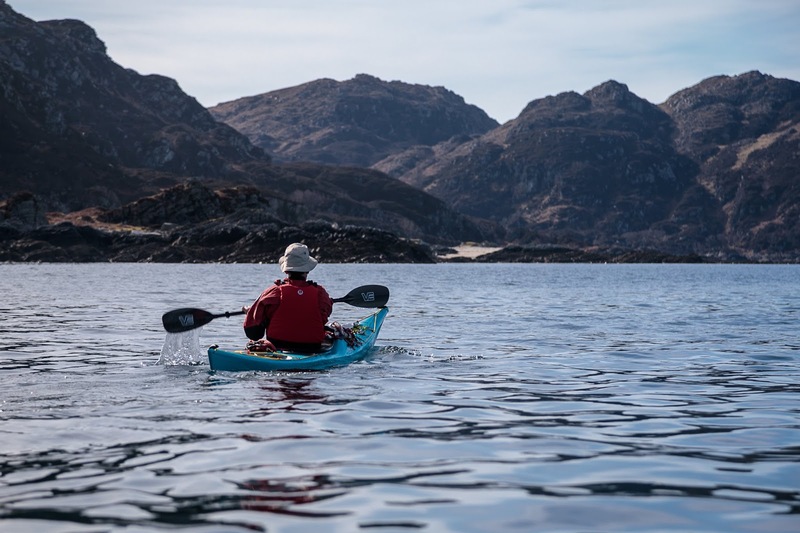 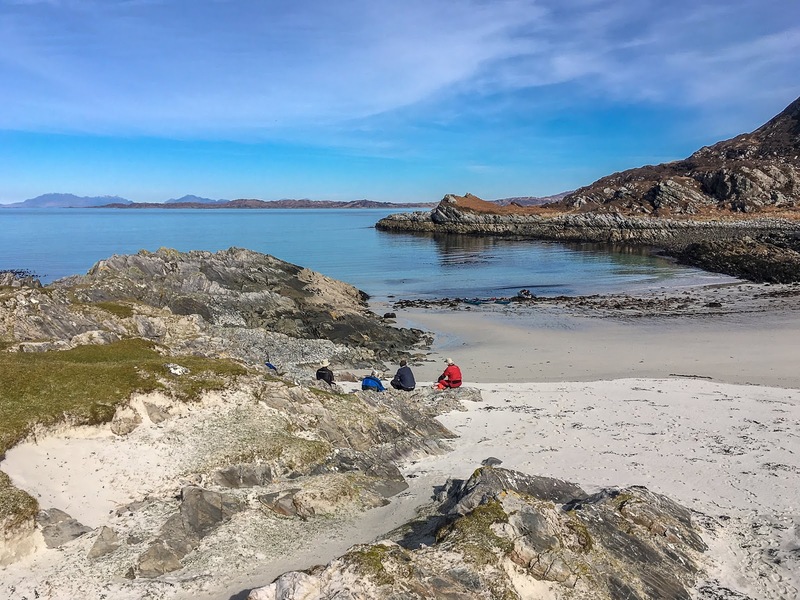 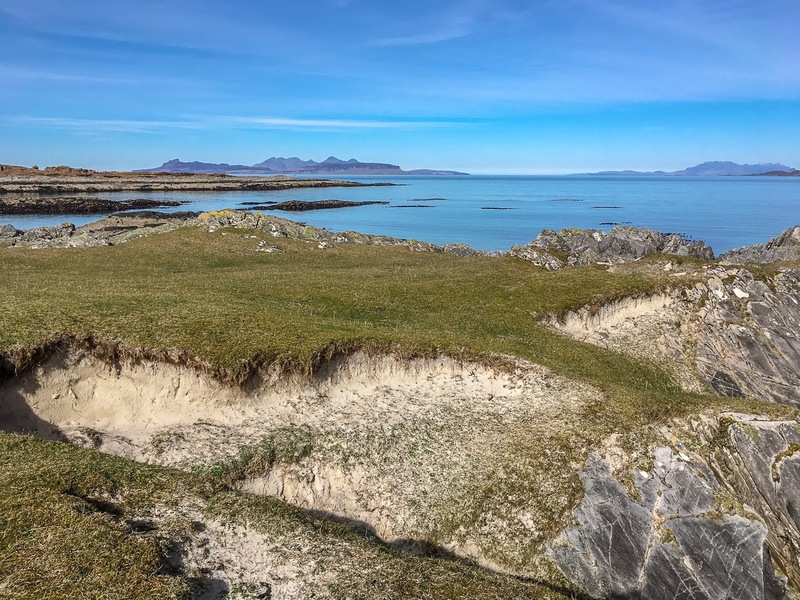 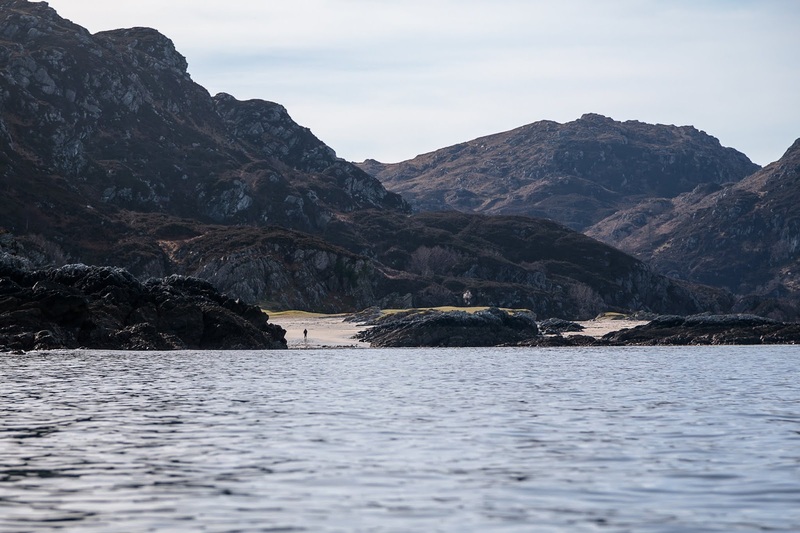 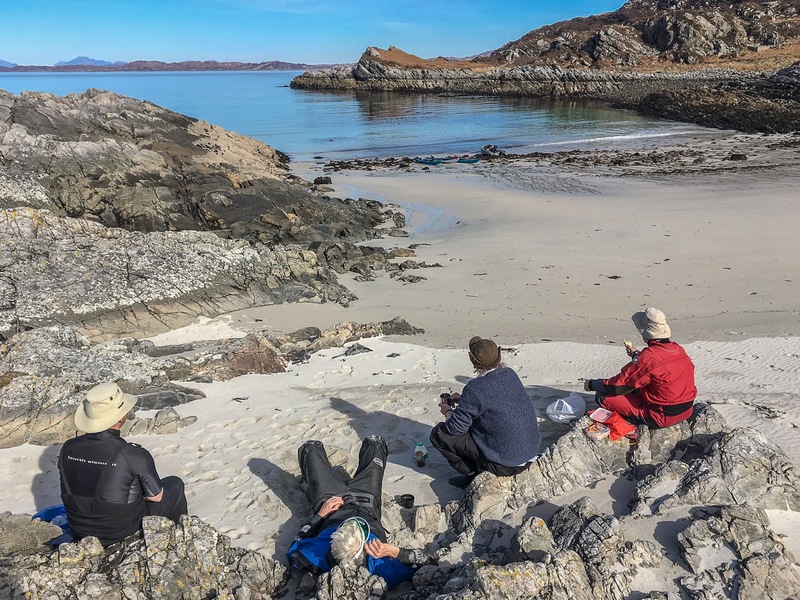 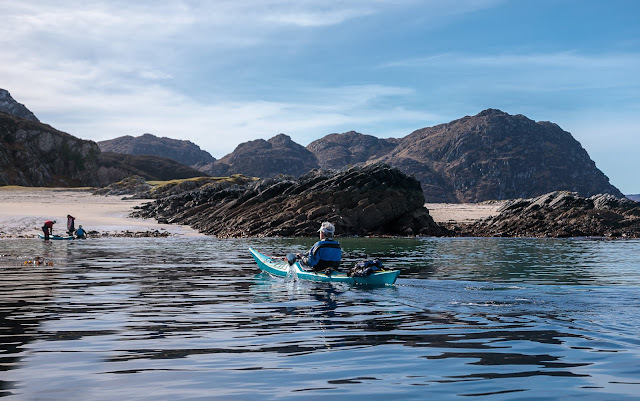 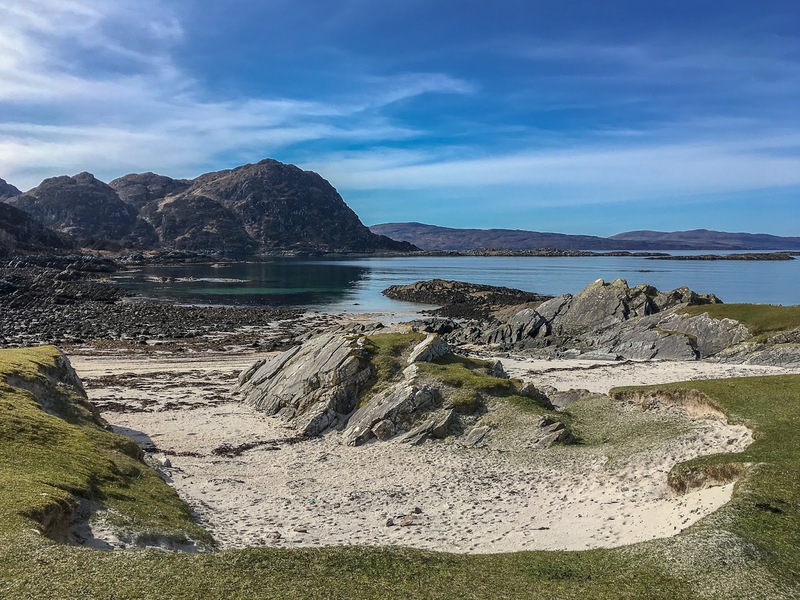 When we emerged from the Sound of Arisaig we turned south along the rough coast of Moidart and the ancient hamlet of Smirisary. 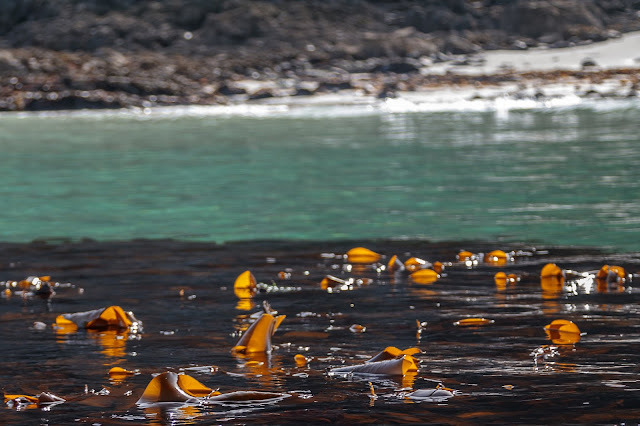 It was low water and we passed to the inside of many of the reefs that create notorious boomers at high water. Amongst the dark rocks which tumbled from the steep mountains, we spotted a flash of white shell sand..
...landed on the white sands.